Praised for his inventiveness, passion and versatility, pianist, composer, and actor Angelo Di Loreto was born in 1990 in Buffalo, New York. Equally devoted to improvised and non-improvised music, Angelo strives to defy genre or label. He performs primarily as the pianist in the Philippe Lemm Trio, a dynamic NYC-based ensemble along with bassist Jeff Koch and drummer Philippe Lemm. In the last few years, the group has toured extensively throughout Europe and the US, with debuts at the North Sea Jazz Festival, Pori Jazz Festival in Finland, the Getxo Jazz Festival in Bilbao, Spain as well as Lithuania, Germany, and Belgium. Most recently, Angelo was commissioned to arrange music for the Metropole Orkest, the Grammy-winning pops orchestra in the Netherlands. 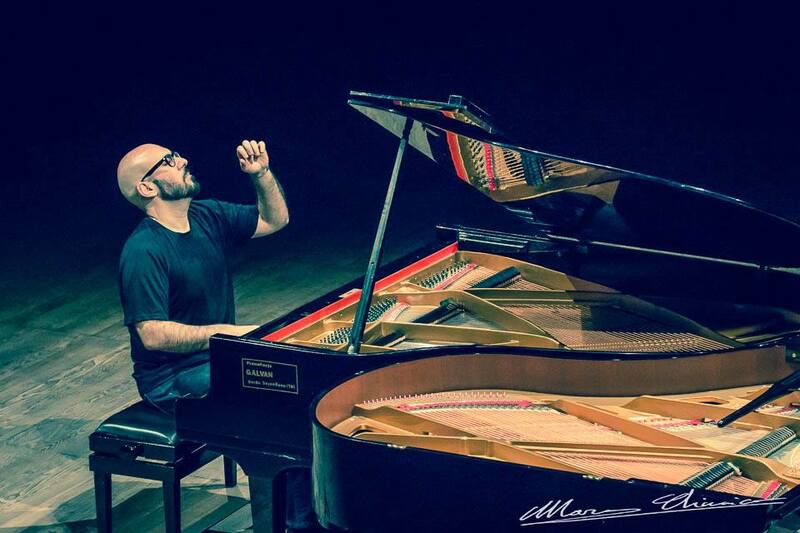 Angelo was a finalist in the 2012 Nottingham International Jazz Piano Competition in the United Kingdom and is a three-time ASCAP Herb Alpert Young Jazz Composer Award winner. In 2013, Angelo and colleagues Philippe Lemm, Jeff Koch, Andrea Wood, Sean Richey, Pawan Benjamin and Jelle Visser moved to Mumbai, India for four months where they were the inaugural faculty at The True School of Music, India’s first-ever comprehensive music institute. There, they taught and performed in and around Mumbai and India including three double-billed performances with Renee Rosnes and her band at the JusJazz Festival in Delhi, Pune and Mumbai. In addition, Angelo, Jeff and Philippe had the opportunity to tour with star Bollywood singer, Shilpa Rao. Angelo and fellow Manhattan School of Music alumnus Adam Kromelow, form a unique musical experience called The Genesis Piano Project, performing the early music of the quintessential British progressive rock band Genesis on two pianos. The duo has performed in cities throughout North America, Quebec and Europe, touring three times in Italy and Portugal. A graduate of the Manhattan School of Music, Angelo earned his Bachelor of Music (2011) and Master of Music (2013) degrees there and studied with renowned jazz pianists Ted Rosenthal and Vijay Iyer, and classical composition with J. Mark Stambaugh. Angelo began his musical studies at age eight with classical percussion and drum set, adding piano at age twelve. As a teen, Angelo was a five year member of the Greater Buffalo Youth Orchestra (GBYO), performing mostly as a percussionist. In 2008, won the GBYO Senior Concerto Competitiont, performing Alan Hovhaness’ Fantasy on Japanese Woodprints for Marimba and Orchestra. Also possessing a deep passion for acting, Angelo pursues a parallel career as a voice actor , and for the last few years has narrated over 65 audiobooks for various publishers, such as Audible Studios, Recorded Books, Tantor Media, Blackstone Audio, and Waterhouse Press, and has self-produced over 12 full length titles as well through Audiobook Creation Exchange. He has also voices for various commercials and narration.